In this five-minute video, Earth Holder co-founder and Dharma Teacher John Bell walks through an “Organizational Relations Map” describing the vision for collectively manifesting a distributed leadership network. No matter whether we are dipping our feet into climate/racial justice recently or have been justice activists for years, most of us are learning more about applying Plum Village mindfulness and methods to protecting each other, all beings and the Earth. 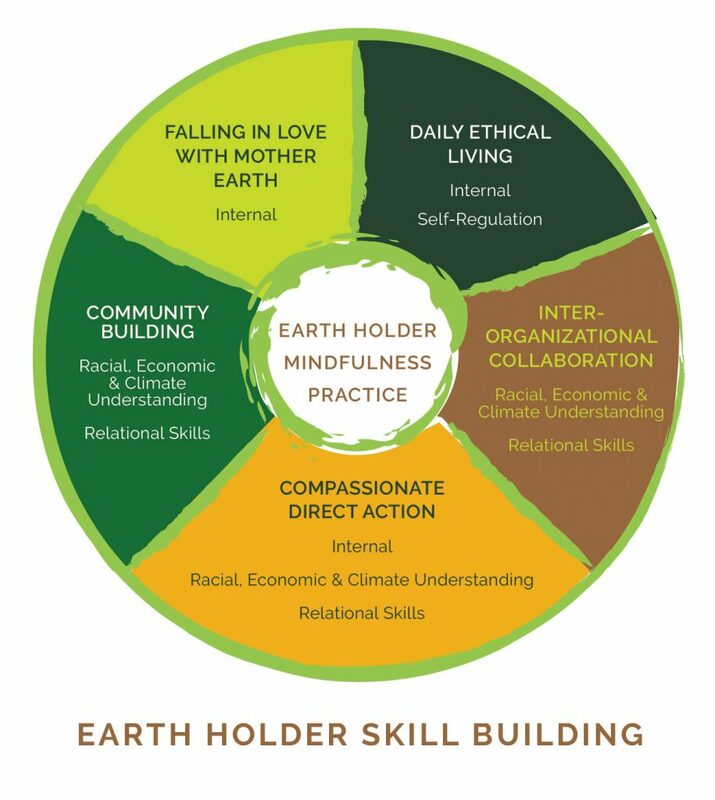 The graphic above illustrates many skills Earth Holder methods and practices develop. For example, falling in love with earth and ethical living arise from practices supporting personal transformation and self regulation. Community building and inter-organizational collaboration require 1) deep understanding around race, economics, and climate change, and 2) the insight of our great togetherness. Compassionate direct action emerges as a result of practices supporting personal transformation, relational skills (awareness of inter-being with others and the natural world), and the insight of what’s happening individually and collectively in the present moment. Earth Holder mindfulness practice is the heart of all practices, methods, and skills. Darling, we are here for you. 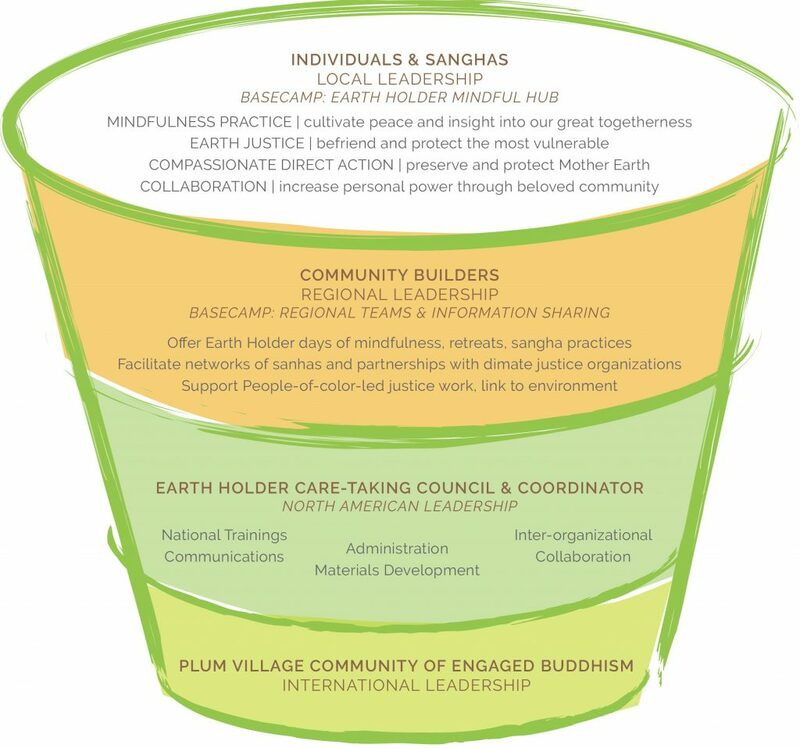 The Earth Holder Community is an affinity group in the Plum Village Community of Engaged Buddhism. 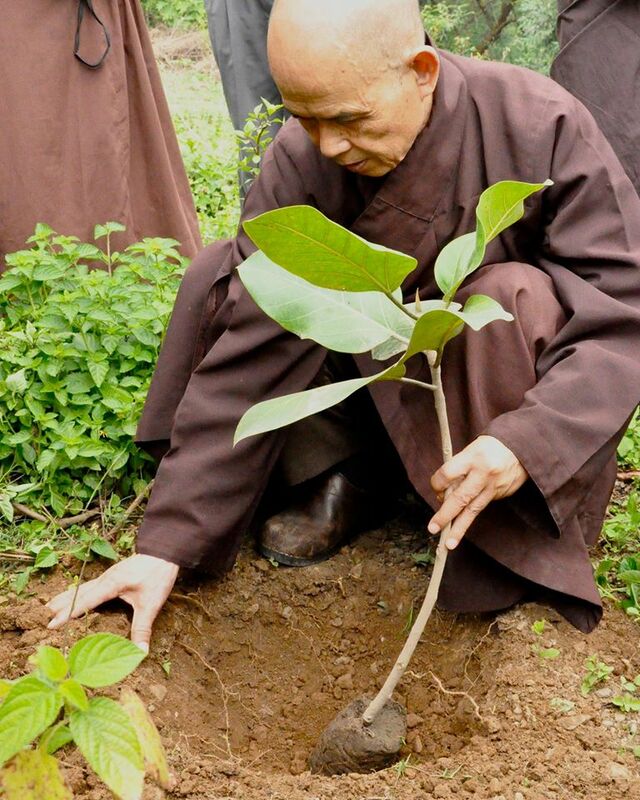 The multi-fold Earth Holder Community–including monks, nuns, and lay men and women, and non-gender conforming practitioners–is the continuation of our dear teacher, the Venerable Zen Master Thich Nhat Hanh (Thay). 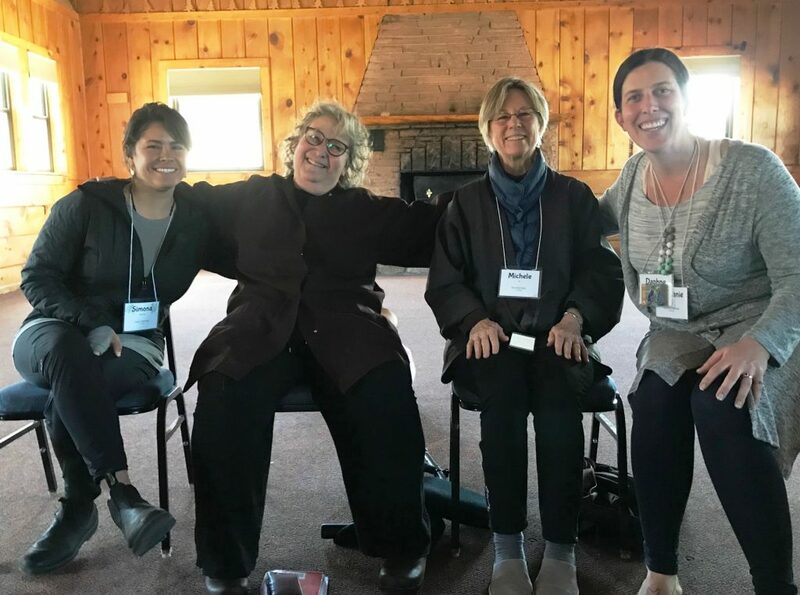 We embody, practice and apply Thay’s teaching on Earth holding and protecting and feel deep gratitude to Plum Village’s leadership for its international guidance and support. The Care Taking Council supports the distributed network by facilitating Earth Holder communications, providing training opportunities and support materials, collaborating with national and international partners, and administering the North American program. Earth Holder Community Builders provide regional leadership. They are trained and supported by the Care Taking Council to offer regional Earth Holder educational programs, build networks of sanghas and area partnerships with like-minded organizations, and explore environmental actions with people-of-color-led justice groups. Most of the network is comprised of individuals and sanghas. Ultimately, the Earth Holder Community’s collective impact is born out of each individual’s love, joy and daily actions. Every Earth Holder contains the whole; the whole is in every individual. 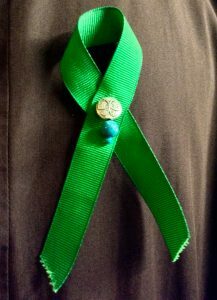 Our shared vision to bring mindfulness, compassion, healing, and non-violence to protecting each other, all beings and the Earth will be realized collectively as it is realized individually. Click the link below and take a careful look at the complete Mindful Way Forward Action Plan. The first tab is an overview of goals and objectives. The second tab shows more details. The third tab is a simple listing of project ideas–many of which have established Earth Holder Action Teams and some of which are yet to begin. You can read the Mindful Way Forward Strategic Plan details here!